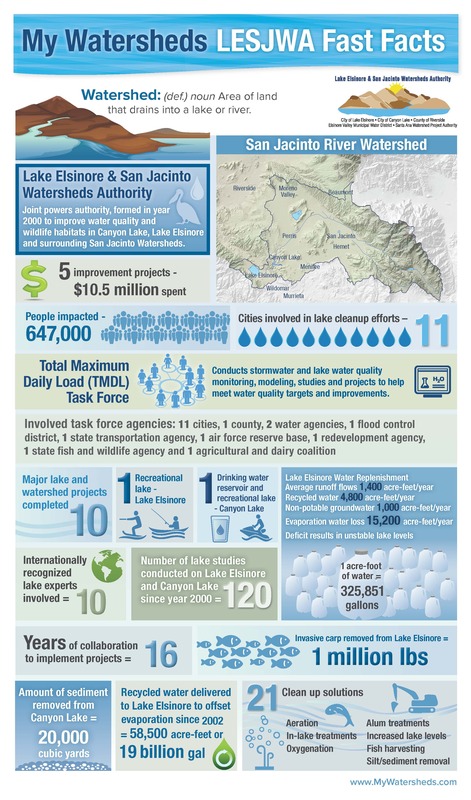 LESJWA’s research and leading water industry experts indicate that the challenges involved with improving water quality in the Lake Elsinore and San Jacinto Watersheds are more complex than originally thought. 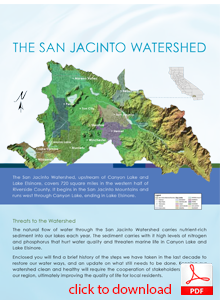 The Lake Elsinore and San Jacinto Watersheds Authority (LESJWA) is dedicated to improving water quality and wildlife habitats in Lake Elsinore, Canyon Lake, and the rest of the San Jacinto Watershed. This website offers information on our completed and ongoing projects, as well as our future goals and strategies.